Contact us to buy, or if it is listed as Make Offer, make a fair opening offer for the name. Please make sure you’ve sent your contact info, including your name and email, skype or phone no., the country where you’re located. Negotiations take place until a selling agreement is reached. Payment method is chosen — Escrow.com, in most cases — for security for both parties. We may have several options for the transaction & payment method, depending upon your location. We normally ask you to create a (free) account at the registrar where the domain is — Enom.com/Enomcentral.com, Godaddy.com, Moniker, Dynadot — and when payment has been received by Escrow.com then we will push your domain into that account, and you’ll have it within minutes. 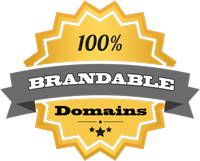 This is one of the safest and fastest ways of getting your domain. However, we may also agree to transfer the domain. We have thousands of gaming and casino domain names, so we will work hard to get you the best possible domain for your needs. © Copyright 2014-2017 Casino Branding Ltd. All Rights Reserved Worldwide.